There are two separate things called JungleScout. You probably already knew that. For one you pay $97 a year, and for the other you pay $39-$99 monthly. What's the difference between JungleScout web app and browser extension? 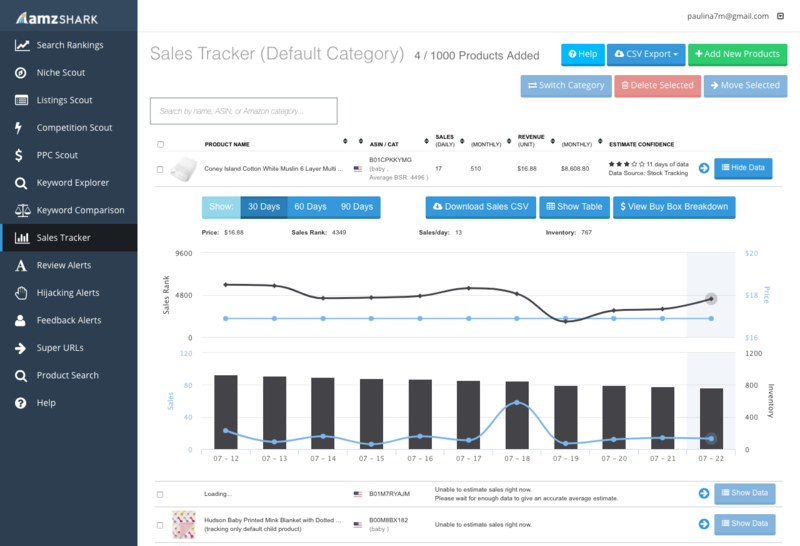 With the browser extension, you start with products and get their stats. 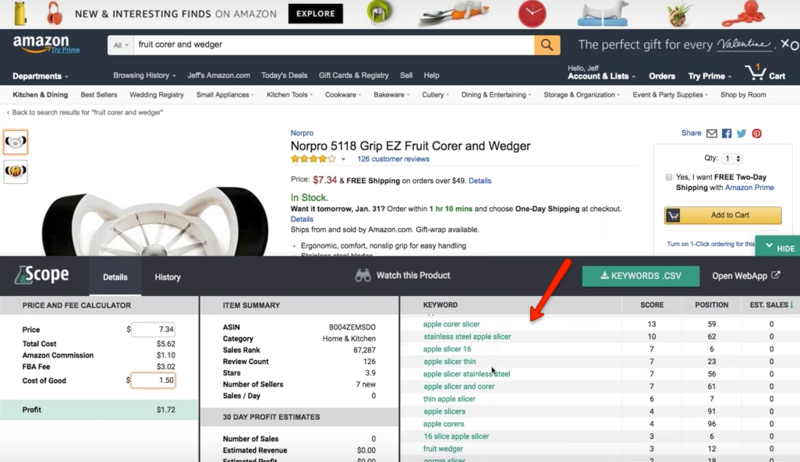 So you will open an Amazon search page and see how many sales each product on that page is getting. It's useful when you already know what you want to sell. 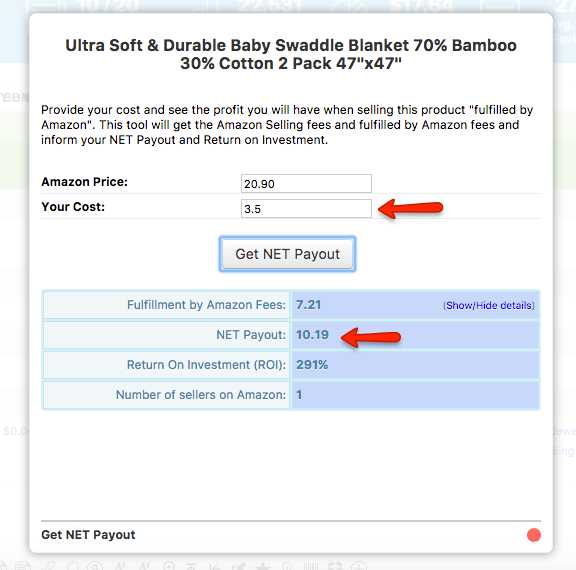 For example, you know you want to sell baby blankets, so you will use it to see which baby blankets are selling the best, what's the demand for this product. 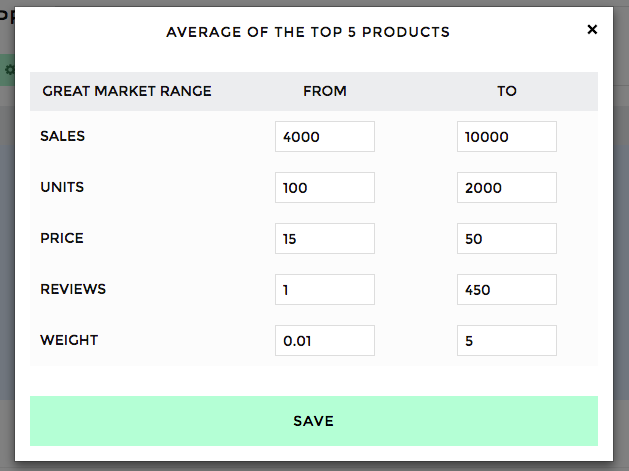 With the web app, you start with set of criteria and get products. So with it, you find products to sell. You enter a category, price, minimum estimated sales - and get a list of products that match your requirements. It is useful to find product ideas with high demand in a niche that you like. The thing is, JungleScout will only show you product ideas from products that are already selling on Amazon. There are many people using JungleScout, and many products are over-copied and best niches are saturated. I recommend starting with JungleScout to just find a high demand niche, and to read product reviews and invent a completely new product for that market. For example, in a baby blanket review, customer says 'I wish this would be a pillow'. There you go. 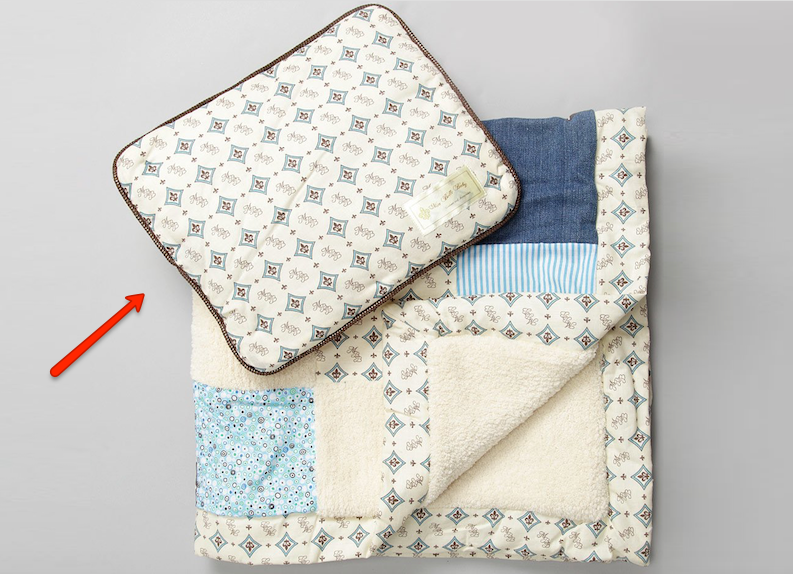 Make a pillow that is soft like a baby blanket, and create a listing of baby blanket + pillow. You get the point. Take ideas from customer reviews on products that already sell very well. How accurate are JungleScout product sales estimates? To check this, I used my own products and compared how many sales JungleScout and other tools show. Unicorn Smasher and Helium 10 Xray (free for the first 1000 product lookups). Helium 10 Xray is very accurate and an excellent choice, while Unicorn Smasher is only cute. You can read more detailed comparisons below. First of all, Unicorn Smasher has the cutest logo! ++ for that. And it's completely free. The catch is they get your email address in exchange. But that's a small price to pay, to have a free tool. As far as estimating sales goes, this app gets only --. In UK, JungleScout over-estimated my sales by about 2.5 times, while Unicorn Smasher overestimated by 7-12 times! Maybe it's not easy to estimate sales in UK? Well, in USA, JungleScout is fairly accurate with 20%+- difference from real figures. Unicorn Smasher, it almost looks like it takes completely random numbers, some much higher, some much lower than real sales. Overall, very inaccurate. The only extra field it has that JungleScout doesn't, is Variations. But they all show '1', even if product has variations, so I guess it does not really work. I am quite disappointed with Unicorn Smasher. So my verdict for Unicorn Smasher is not so great. Ok, it's free, but the tool is no good if it's not accurate. You can sort the columns, but you cannot set your own filter criteria like in Junglescout. I can achieve the same if I just export to CSV and do my filtering in there. That’s an extra step that would be nice not to do. A nice interesting number they show is Review Velocity. It indicates how many new reviews were posted in the Last 30 days on the product. Very interesting insight, when judging how lively is the product you are looking at. In the graph for historic sales, you can see a general trend, if the sales trend is going up or down. For this info to be effective, you have to look at at least 1 years worth of data, so that you don’t think the trend is down, if Christmas just passed and you’re looking at January. You want to evaluate the general performance of this listing on Amazon marketplace. Is it doing better and better, or is it declining. This one above, for example, is on a decline. And you may want to go look at other similar products and check if they are declining as well. Most sellers would just stop looking at this product as an opportunity right away. Trend is down. But wait. That’s not everything to it. Keep in mind that this is not a market demand curve, it is a curve of how good a listing is performing. Maybe it has a lot of competitors, maybe total review score decreased over time and so the ranking also decreased. This gives a possible explanation as to why the sales trend is down. So you see, even if trend was showing downwards, you could turnaround this product if you sell a similar one and get great reviews. Read what reviewers are complaining about, fix those issues, and you may recoup on the success this listing had initially going for it. Overall, XRay is great. Pretty strong competitor to JungleScout. Plus, it is free for the first 1000 requests. If you are just starting out, it’s a good place to start. They both have a browser extension AND a web app. How do their browser extensions compare? The sales estimates by Scope were quite good, actually. In general, they tend to under-estimate the sales. Real numbers were only 20-30% higher. Comparing to JungleScout, both apps estimate number of sales very well. Scope only supports Amazon.com marketplace, while JungleScout supports 9 Amazon marketplaces in different countries. Overall, if you only need to research products in USA - Scope is a good but expensive choice. But if you want to check other marketplaces, and have more data like best seller rank history - I would go with JungleScout. How do their web apps compare? I really wanted to test Scope's web app. But they have no free trial. And they charge upfront for 1 year, refundable only in the first 7 days. The cheapest yearly payment is $390. So I will base my evaluation on Scope's screenshots and description of features on their homepage. It looks like Scope has very limited filtering features, comparing to JungleScout. Only Reviews, Price, Rating and Sales Rank are available. This is quite limiting. My favorite filters on JungleScout are Estimated Sales and Number of Sellers. Then I can find products that are private label and selling well. Scope looses points here. 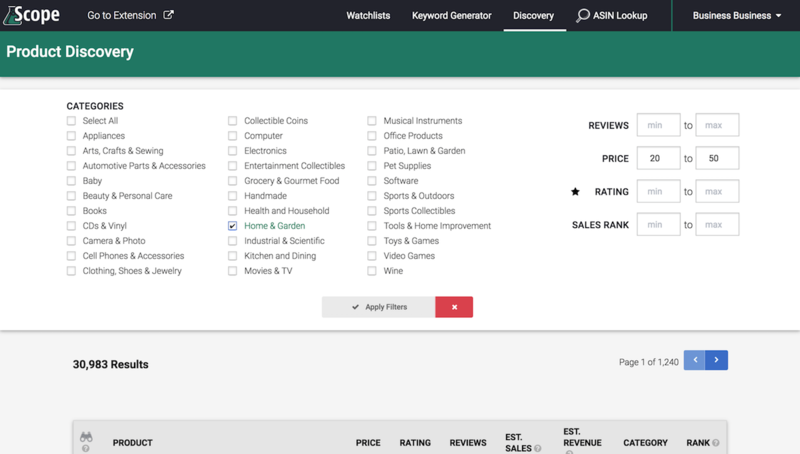 This is a really awesome feature, as you can collect a lot of keywords for your own listing, by just looking at competing products and what they rank for. Ook. I guess after such a cool feature like this reverse asin lookup and score on each keyword, I will forgive them the 'no free trial and please pay $390 upfront, and we will not refund after 7 days'. I will forgive. Kinda. Overall, Scope's web app and JungleScout's web app offer different sets of features, so it is hard to compare them side by side. Scope focuses on keyword research, while JungleScout is all about finding the most profitable products to sell. They are both equally cool tools. Both Amachete and JungleScout have a browser extension and a web app, but Amachete does not charge for the extension separately. It is all just one monthly charge for access to both. Amachete does great sales estimations in some categories, and not so great in others. Amazon UK sales get highly overestimated, but even JungleScout and other tools overestimate in UK. (What's wrong with UK?) Overall, it's pretty decent estimator. 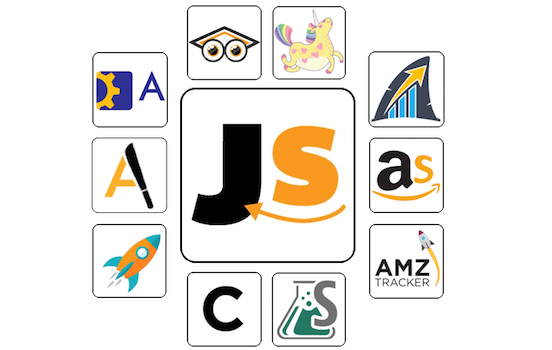 They support Amazon Japan, while JungleScout and most other tools don't. I wish they would also show number of sellers for each listing, which they don't. This is a very important number for me, when I am analyzing products. I always try to find private label products, where single seller is making good money. Overall, JungleScout will show you more details, with filtering options and sort. Amachete is fairly basic, but the value of their subscription comes from other tools that are included with the web app. The good thing is, you get many things in one package for one price with Amachete - product scout, auto-emailing tool, hijacker watch and keyword tracking. The bad thing is, most of them seem to be still in beta, and only perform very basic functions. Comparing to JungleScout, it has very limited features. In the end, you should try Amachete if you want to research Amazon Japan, or want to have multiple tools with one subscription. Otherwise, use JungleScout. AMZTracker offers a free browser extension, called Unicorn Smasher. I already reviewed it above. You will see that I did not like it at all, as it's not accurate. Their web app does not help you find a product to sell, like JungleScout does. But it does help you track ASINs that you enter, from any marketplace. 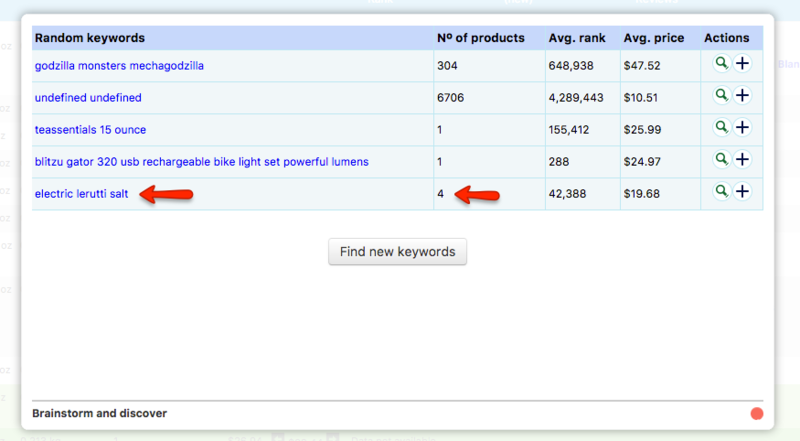 AMZTracker can also track keyword rankings for each product, and it will show you how it changed over time. Their Deepwords tool is supposed to support Japan, China, Brazil etc - but it does not look like it does. Otherwise, the tool can be useful for keyword research, and this is not something that JungleScout does. JungleScout was created to search for new products to sell. It also tracks how potential products are changing in rank over time, which is useful when watching for seasonalities and demand. I think AMZTracker is more suitable for tracking your own products - how their BSR changes, what positions you hold for certain keywords. You could also use AMZTracker to track your competitors. AMZTracker will NOT help you research a new product or get product ideas - it's built for a different purpose than JungleScout. Why did I even add AMZTracker to my list here, if it's nothing like JungleScout. Um.. I think I saw on Google Keyword Tool that people are searching for 'JungleScout vs AMZTracker'. If you're one of them - hi! This was all for you my friend. Their price is CRAAAZY. $299 a month. 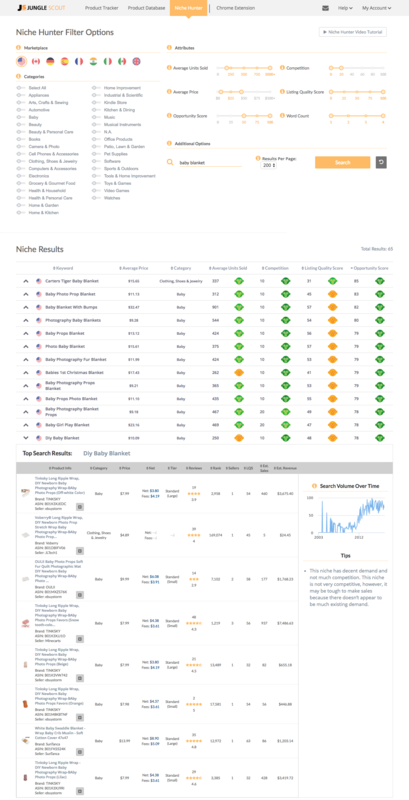 For keyword research, product rank tracker and hijack/review notifications. I surely would not pay that much, even if I would be a millionaire seller. It's just not enough value to justify such high price. Maybe they give out coupons? AMZShark used to cost $100 a month, maybe that's the real price you get if you come from an affiliate link. Who knows. 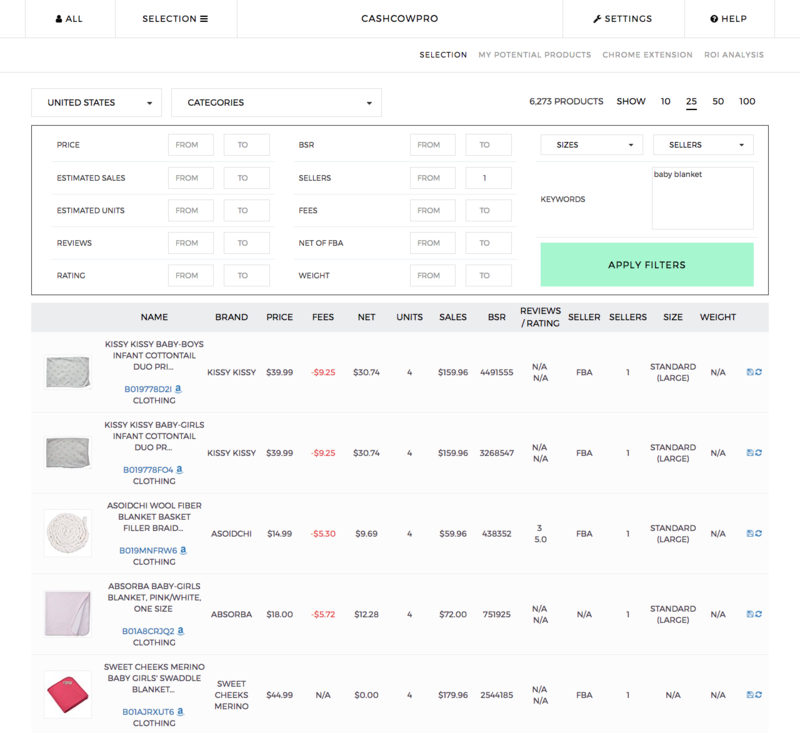 Their Product Search tool compares to JungleScout Product Database. It's nice looking and functions well. It's also Free to use, but it shows limited number of search results until you sign up - click here to see the free version. Product Search tool only supports Amazon.com. It also does not allow filtering by keyword. And it does not allow filtering by number of sellers, which is the most important feature for me. So comparing to JungleScout, it's not so good. I will now compare AMZShark's Sales Tracker and JungleScout's Product Tracker. 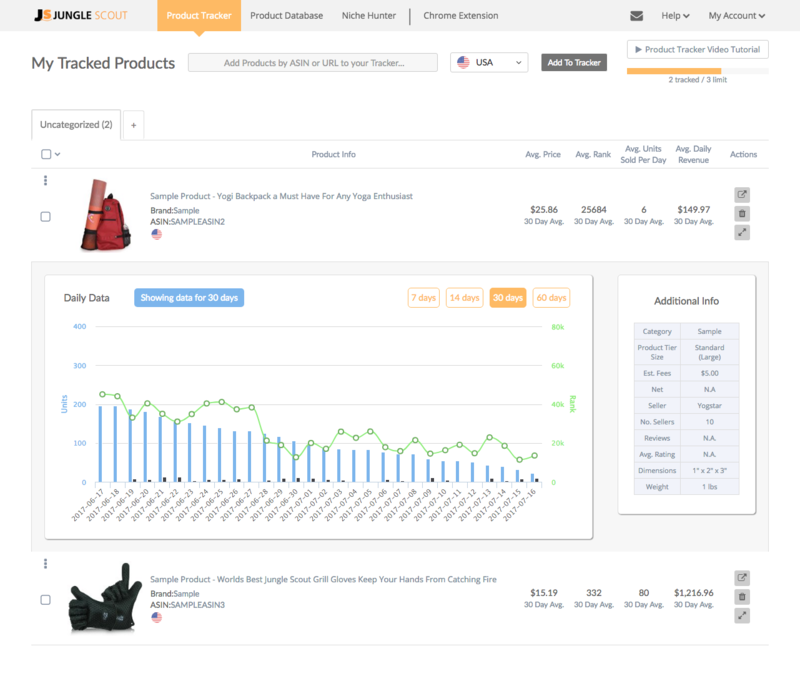 AMZSharks' Sales Tracker supports Amazon Japan and Amazon China, while JungleScout's Product Tracker does not. AMZShark uses 999 method for tracking the actual product sales. This is very useful, as you can see how many units your competitors are selling. Comparing to JungleScout, it's pretty similar. The next day, if it says 'This seller has only 1 of these available', then you know that he sold 2 units. That's how 999 method works. The apps are not able to track if you have more than 1000 units as well, because the maximum number of items you can add to Amazon shopping cart are 999. When you enter 999 in quantity field, it will just add 999 units to your cart. Careful not to buy them all hehe. Here comes AMZShark with its Niche Scout, followed by JungleScout with its Niiiiche Hunterrr. AMZShark does not have nice filters like JungleScout, where you can define any criteria you like, to find a good product niche. They only allow search by keyword. Very limiting. AMZShark feels unfinished. Junglescout is much cuter to look at, has tips, Google Trends, Opportunity Score. It's just more pleasant to use, than AMZShark. Overall, I would definitely go with JungleScout over AMZShark. JungleScout is priced much lower, and value is 10 times more. 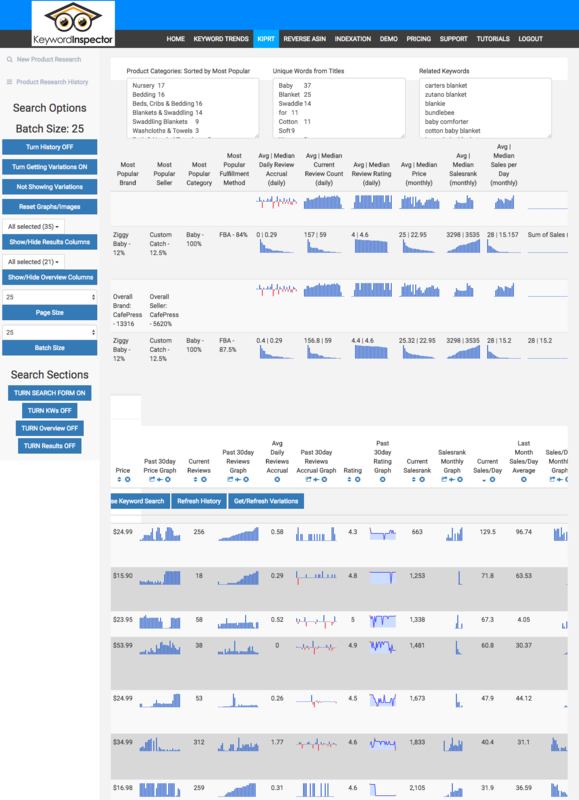 KIPRT stands for Keyword Inspector's Product Research Tool. This tool compares to JungleScout's Product Database. KIPRT has been released for a while now, but it still looks like it's in beta. I like elegant software tools, and KIPRT is just.. meh. There are many great filtering options in KIPRT. Number of sellers - I love this one. Negative keywords - great. 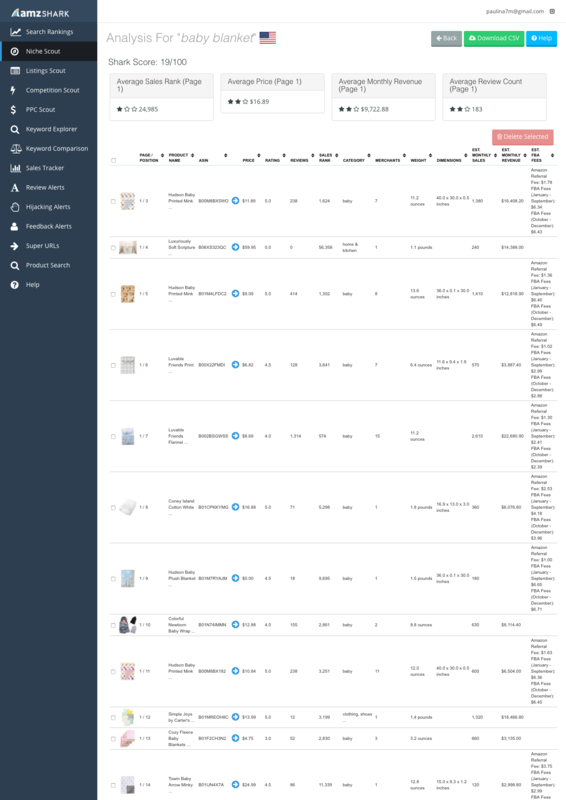 Comparing to JungleScout, it has all their features plus some extras, like filtering for how many keywords the listing shows up on page one. This is like a century in internet terms. Waaah, that's a LOT of info. Nah.. I'm too lazy for this. Maybe I'll watch a tutorial on Youtube. Lol, presenter had to pause the recording to wait for search to be complete. He also said it just breaks sometimes..
Each listing has a graph of how many reviews are being added every day. Very nice info to have. JungleScout does not have this. For each listing, it shows sales per day monthly graph. I like to see if sales are growing, steady or declining, when researching products. 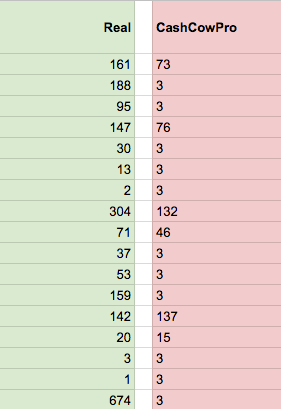 KIPRT shows how many reverse ASIN keywords each listing has. 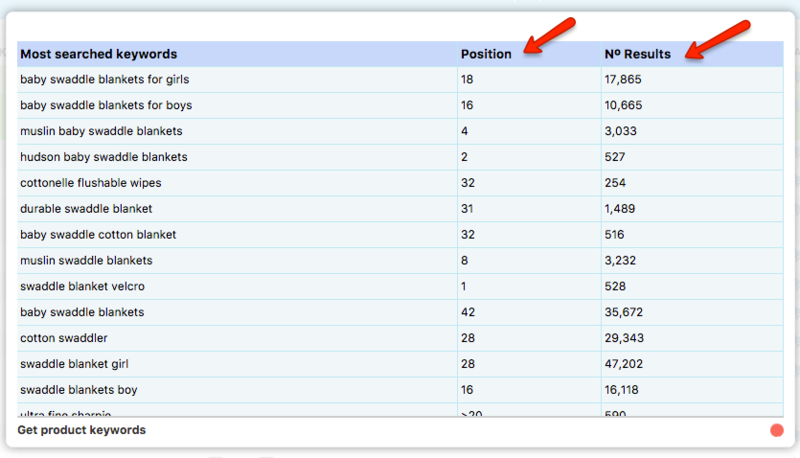 So if you decide to order a list of keywords that your competitor is ranking for, you would know how many you will get. Keyword Inspector company is most famous for its Reverse Asin search. But it will soon be outcompeted by Helium 10 Black Box, I think. I like that they show date for each listing, indicating when the listing was first found. Nice to see how old the listing is, when evaluating potential products. JungleScout does not show this. KIPRT's price comparing to JungleScout is too high. KIPRT does only one thing for $40-$80 a month, while JungleScout has Product Tracker, Product Database and Niche Hunter - all for $39-$99 a month. To sum up, JungleScout and KIPRT are like Beauty and the Beast. KIPRT is ugly and slow, but extremely powerful and detailed. It's similarly priced ($40-$80 a month), but provides a lot of additional data over Junglescout. ASINspector is a Chrome Extension, and it compares to JungleScout's Chrome Extension. It doesn't have a web app. This could be my favorite tool. ASINspector underestimated sales for a lot of products that I was testing. In USA, it was close to real numbers 40% of the time. The rest of the time, it vastly underestimated. One of my products had 210 sales a month, and Asinspector was showing 4 sales a month. Many tools that I test, overestimate UK - and ASINspector is no exception. I had 130 sales of one product, and ASINspector was showing 1135 monthly sales. To be fair, JungleScout overestimates my UK sales as well. ASINspector has a LOT of columns that you can choose to enable, much more than JungleScout does. Some interesting ones include Cost break-even, Similar Product ASIN, Actual Inventory (using 999 method), Price of product on eBay. It has an awesome feature for wholesalers, to estimate the value of a buy lot. You give it a list of your lot contents in a simple list of UPCs. Then ASINspector goes to find how many of them are for sale on Amazon, what are the estimated fees, and what will be the estimated profit. 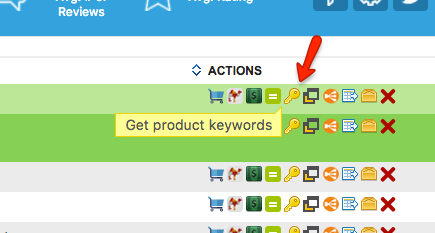 I am not a wholesaler, but this feature sounds pretty damn good if you are - it will save you many hours of work. 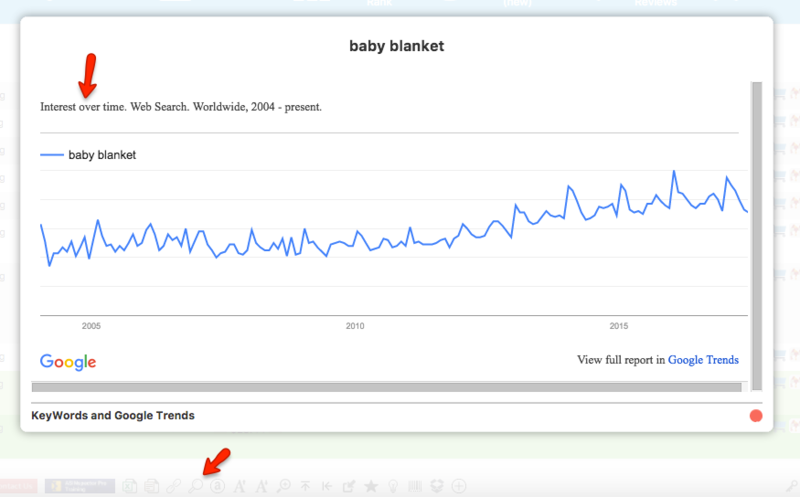 ASINspector shows you google trends for your keyword, without you having to leave the app. JungleScout also does this, but only in their web app's Niche Hunter. ok, one more neat one for you. It opens up and shows you some random keywords with the number of matching products. It's a great way to come up with ideas what products to sell. You keep refreshing until something of interest comes up - and then voila - go and research if it will be worth your time making it a private label product. To summarize, ASINspector is waaay better than JungleScout, in my opinion. It has a load of features to help you come up with a new product idea, many of which JungleScout does not have. So many sellers are using JungleScout, so if you use this tool instead, you will have a competitive advantage. And the price is basically the same. Pretty Accurate. Varies by category and geo. In USA, AMZScout surprised me with their very accurate sales estimates. Some categories were not so good, but in general AMZScout was only off by a 20%. JungleScout has about the same accuracy. In UK, AMZScout did not provide a sales estimate at all, for many of my items, and was quite off on those that it did. So all my applause for being accurate goes down the drain. The only thing it has extra that JungleScout doesn't, is the number of variations. Unlike Unicorn Smasher, it counts and displays the variations correctly. Overall, AMZScout gives a feeling of an amateur unfinished product. But with potential. I liked the accuracy of their sales estimates in some categories. The only benefit you will get choosing them over JungleScout, is paying one lifetime fee of $199 instead of paying yearly the same amount. It's up to you. But I would say, don't use them. Just use JungleScout - it's a more reliable and more trusted service. I was planning to compare their web apps. But I just reeeeally don't feel like. AMZScout team had no creativity at all. They looked at JungleScout and basically copied every feature from them. Even the columns are in the same order, and filters have the same names.. And the super power of JungleScout, which is LQS (Listing Quality Score), was even named the same. Only the proprietary formula was impossible to copy of course, so their LQS are in general much higher than JungleScout's. Even the name of the app is copy-pasted. The one-to-one copying is unethical. Come on, guys. Not nice. To sum up, if you feel like you don't care if they copied anything or not, and all that matters is price, then go ahead with AMZScout. Otherwise, stick with JungleScout. This tool compares to JungleScout's Product Database only. Soo super basic. No useful filters.. If I want to find a good product to sell, I can input 'max 50 reviews' to see less established products. But that's as good as it gets. Pretty sad situation here. AMZ.Space aims to be an all-in-one suite, but in my opinion this is not the best strategy for them. By doing everything with assumingly limited resources, they don't have any features that are more than basic. So no value for my money. umm, the basic plan is free. But even then - no value. Comparing to JungleScout, AMZ.Space is .. well, I can't even compare. It's not worth your time. CashCowPro has both Chrome Extension and the web app. Unfortunately, you cannot leave any field empty. So I have to know in USD how much sales revenue my dream product would make. Hmm, no idea. I only maybe know the number of units I'd like to sell. Let's say over 100 a month. And I also know I don't want to deal with products that have too many reviews - so I would put in Max Reviews to be 150 maybe. But I am forced to put in weight, aah. No idea either. Ok, I will just use a wide range. But how will they work together? Eeek, too much math to work with here. Feature goes down the drain. You cannot filter the list of products, like in JungleScout. You cannot delete products from the list either. It only has very basic info. CashCowPro has a web app as well, and it's comparable to JungleScout's Product Database. 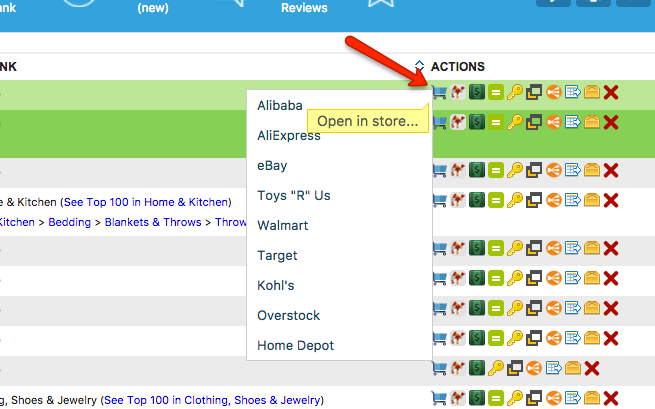 There is an option to search by keyword and number of sellers, which is my favorite way to search. There are all most important filters there. Overall, JungleScout is way better than CashCowPro, if you're looking only at product research features. But CashCowPro has many other tools in one price package, so you may want to look over what else they have, before you decide which one to use. They are quite popular and people love them. AMZTracker - Does nothing like JungleScout. JungleScout has a few strong rivals, like ASINspector and Helium 10 Xray, but in the end, nothing can replace it. They have the largest user base, so they can afford frequent software updates with new features, which is awesome. For example, I search for 'baby blanket' on Amazon. And then I run JungleScout on that page. JungleScout does all the hard work for you with the Opportunity Score. It tells you if the niche (by your keyword) is good or bad, so you don’t have to analyze and think about it. All those numbers are tiring to analize manually, especially if exploring many different keywords one by one. 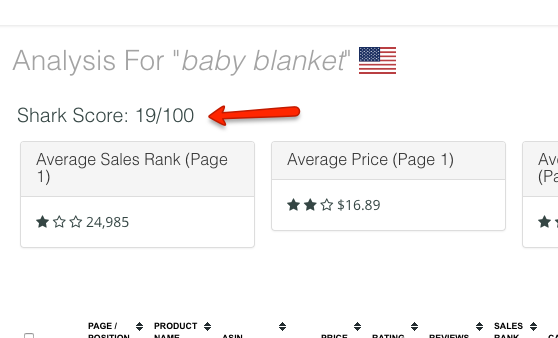 You see from screenshot above, that my chosen niche 'baby blanket' has very high competition, and a score of 4 - so in general, niche is overcrowded. But it also has very high demand, which tells me that I could niche down on it. I will try to look for subniches. Let me try.. 'elephant baby blanket'. Aha! Medium demand, and competition is Low. Perfect. This would be a very nice product to private label, and I would then go research more on that. Just get JungleScout. Don't look for alternatives. Even better, get the awesome pro version with the new Opportunity Score. Why? Because. It’s the best. And if you don't, your competitors will. 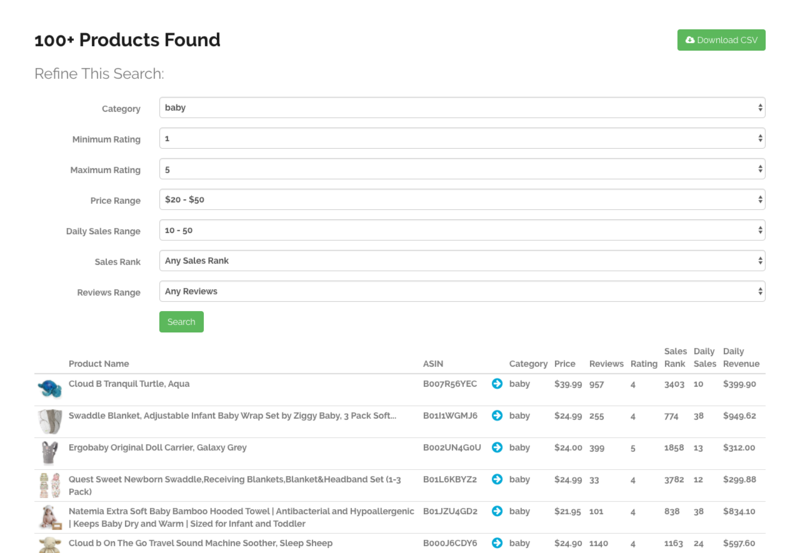 The most popular approach to JungleScout and product research is to find products that sell a LOT, and copy those. But in my experience, these products are already so saturated, that you will likely sell only a few. So look for high demand niche and invent products that don't exist on Amazon yet. Use JungleScout wisely. Is it enough to launch only one product? Most coaches online, who teach Amazon FBA, will tell you to focus on one product, and hope to sell at least 10 units a day. It's not so easy to find products that sell well and have little competition. It's much easier to have many products selling 1-2 units a day. By having many different products, you will spread out your risk and have less stress overall - it's the best way to make money on Amazon. 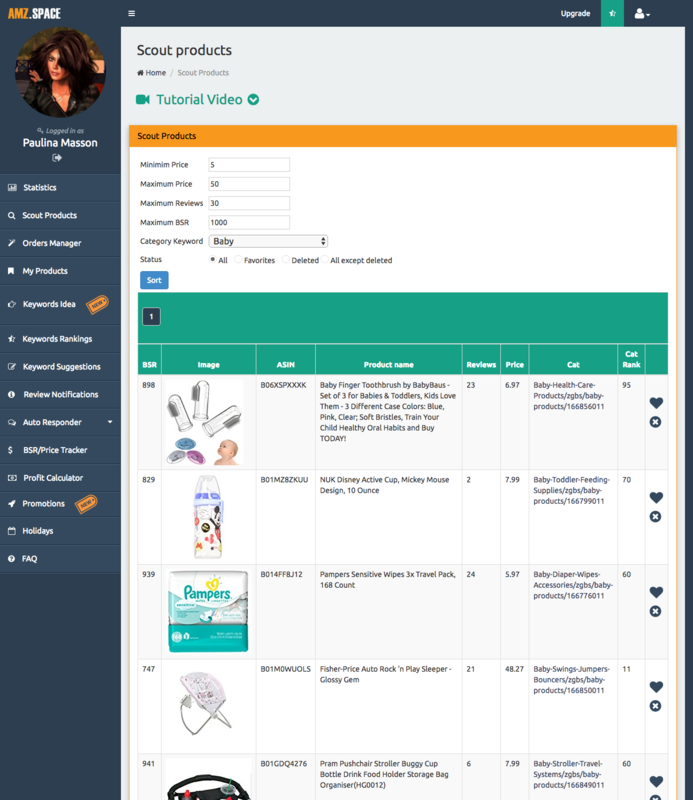 JungleScout will be your best friend in helping you find multiple products with high demand. Now go start your research and make some money. Good Luck!